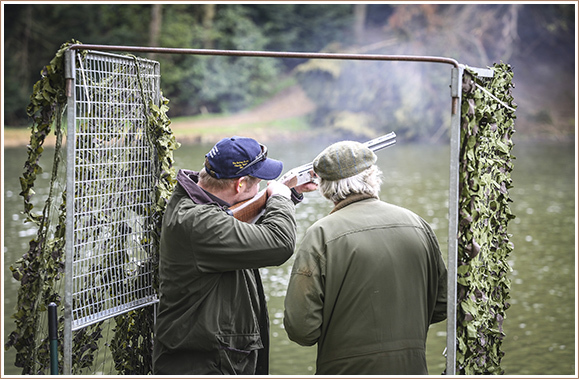 Belvoir Castle is the perfect base for an exciting range of team building days. 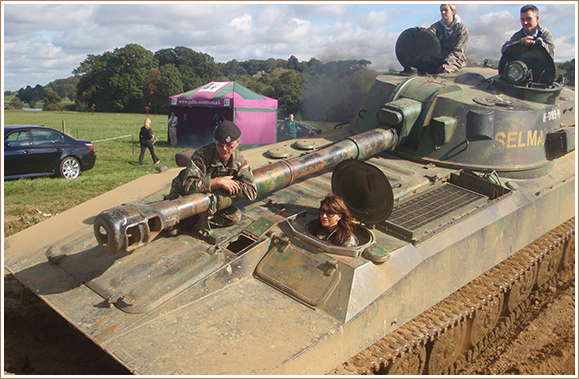 This incredible backdrop makes it easy for teams to unite, bond and have fun taking part in a number of exhilarating activities in the grounds. You might be rewarding your sales team, thanking loyal clients, integrating new staff or simply capturing a significant moment for your company. Whatever your reason for coming together on team building days, you’ll enjoy a successful outcome. Our dynamic events team will turn your goals into an experience that’s effective, engaging and memorable. Your priorities and expectations will shape the experience. As a result, your team will be stronger and communicate better. We can offer full or half day activities for groups ranging from 10 to 120 people. You’ll also be able to choose different options for hospitality, including informal BBQs and a magnificent black tie dinner. Off road driving, hovercraft, dragon boat racing on the lake, tank driving, quad bikes, It’s a Knock-Out challenge, survival and bush craft basics, archery, falconry and clay pigeon shooting, CSI style investigations, chocolate workshops as well as GPS and Gamified indoor and outdoor activities using award-winning technology. We could even arrange for your team to abseil down the beautiful Belvoir Tower as part of our famous between Dawn and Dusk Challenge. In addition to abseiling, your team will build a raft, swim across Belvoir Lake, hunt for their own dinner and sleep out under the stars. It’s the perfect team building day to ignite a bit of competition! Find out more by emailing us at corporate@belvoircastle.com. If a Bear Grylls style survival challenge isn’t quite your thing, there are plenty of other options to consider. WHY NOT CHALLENGE YOUR TEAM WITH A CSI EXPERIENCE? Ideal for groups of between 5 and 10, we can tailor your interactive experience around your company values, messages or any recent training. The experience will focus participants on learning new skills in communicating, delegating, planning, lateral thinking and presenting. It’s a great opportunity to show creativity and resourcefulness. Working against the clock, each team will try to vindicate their wrongly accused colleague and complete tasks to access forensic results which prove innocence. Always a talking point, the activity can include a facilitation session at the end. This is where teams can review lessons learned and identify strategies to take back to the office. HOW ABOUT THE SWEET TASTE OF SUCCESS IN OUR CHOCOLATE MAKING CHALLENGE? 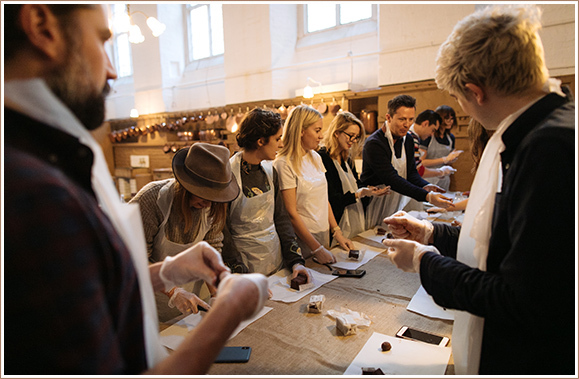 Your team will be tested on their sales and marketing expertise as they create the packaging and design for a box of original chocolates within a limited time- scale and budget. Success is scored on quality, profitability, originality, teamwork, variety and effectiveness of the marketing plan. This is a particularly suitable activity for larger groups split into teams – and isn’t weather dependent! The fun doesn’t have to stop when the activity does. We understand how getting the social part right can make all the difference to team spirit. So talk to us about how you’d like to finish your day. We can recommend, source and book bands, singers or comedians. You can also extend your team building day with an overnight stay for smaller groups – we can also recommend hotels and pubs in the local area. 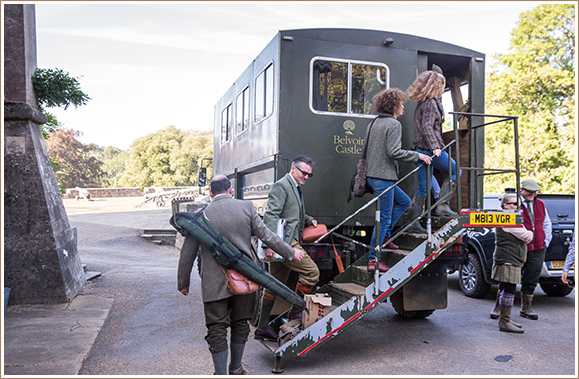 To find out more or arrange a visit, contact our Events team on 01476 871001 or email corporate@belvoircastle.com.